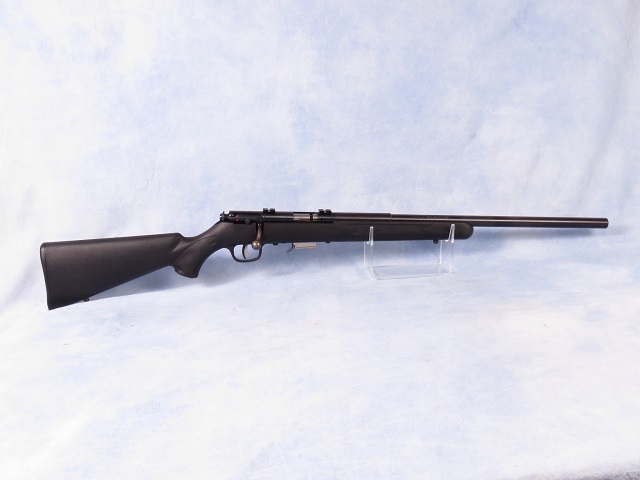 Savage model 93R17 bolt action rifle chambered in .17HMR. Features include textured black synthetic stock, blued receiver and 21" bull barrel, detachable box magazine and sling swivel studs. This is a used rifle with some wear marks but is in decent shape overall, has been test fired, function checked and cleaned.